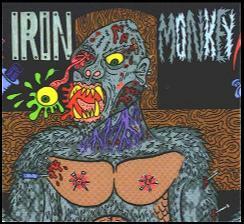 Iron Monkey were a sludge metal band that formed in Nottingham, England in 1994. The original members were Justin Greaves (Drums), Johnny Morrow (Vocals), Jim Rushby (Guitar), Steve Watson (Guitar) and Doug Dalziel (Bass). The members all had experience playing in the British underground and they each brought different influences to the fold. 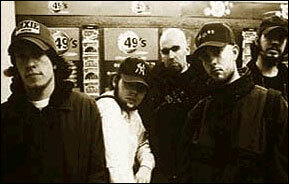 The group's sound was influenced by the doom metal and crust punk genres and in particular by bands such as Grief, Black Sabbath and EyeHateGod. The end result is a ghastly combination of vitriolic aggression, downtuned riffage, huge underlying grooves and inhuman screams. The band's early gigs were intense affairs with drunken mayhem leading to the destruction of instruments and equipment, helping to generate their brutal reputation. 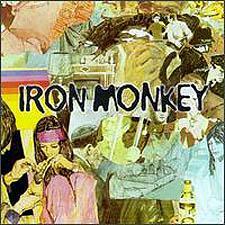 The group wrote a six song album that was released originally on the small imprint Union Mill before being put out by Nottingham label Earache Records. Before the deal was made however guitarist Steve Watson was fired and replaced by Dean Berry. The band's sophomore album Our Problem was released to worldwide critical acclaim and was an even harsher and punkier listening experience than the band's self titled album. The next release was a split CD with Japanese Doom metal band Church of Misery that was put out by Man's Ruin Records. In 1999 the band played the Dynamo Festival in the Netherlands and shortly after Jim Rushby left the band and was replaced by ex-Acrimony guitarist Stu O'Hara. However due to a variety of personal and industry problems the band split in September 1999. Justin, Jim and Johnny went on to form the short-lived Armour of God whilst Dean, Doug and Stu formed Dukes of Nothing. Johnny then formed My War and murder one before tragically suffering a fatal heart attack in the summer of 2002. Justin has since played in an array of bands that include Borknagar, SiLVER GiNGER FiVE, Hard to Swallow, Teeth of Lions Rule the Divine and now plays in British doom titan Electric Wizard. Dean plays for the underground post-doom/sludge/core group The Capricorns (signed on Lee Dorrian's Rise Above Records). The band have become posthumously revered and their influence can be heard in groups such as Raging Speedhorn, Charger and Mistress. 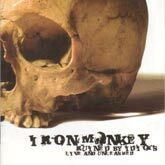 A live and rare tracks album entitled Ruined by Idiots was released in 2003 on Maniac Beast Records.